The fog hung white and thick across the barns and pastures of LB Equine Fitness in Tyler, Texas. The moody February weather had snapped down into chilly temperatures without much notice, and overcast clouds made for a dreary, unconventional setting for a stallion session. Yet the gleaming white and wild patterns of Ima Special Guy's colorful coat burst vibrantly out of the gloom, his presence and personality a bright contrast against the misty gray backdrop. Built to perfection—a bundle of power and muscle bound beneath rippling shades of bay—"Jocko" tore about the pasture in impressive displays of athleticism, stopping only briefly to gaze over his domain. Jocko is a 2013 bay tobiano stallion by Frenchmans Guy and out of Ima Treasure Seeker (Special Contender). It took his owner, Shannon, a while to get her dream horse out of a dream cross, but she couldn't be happier with her personable, young stallion. He's 5 years old, full of potential and ready to run! 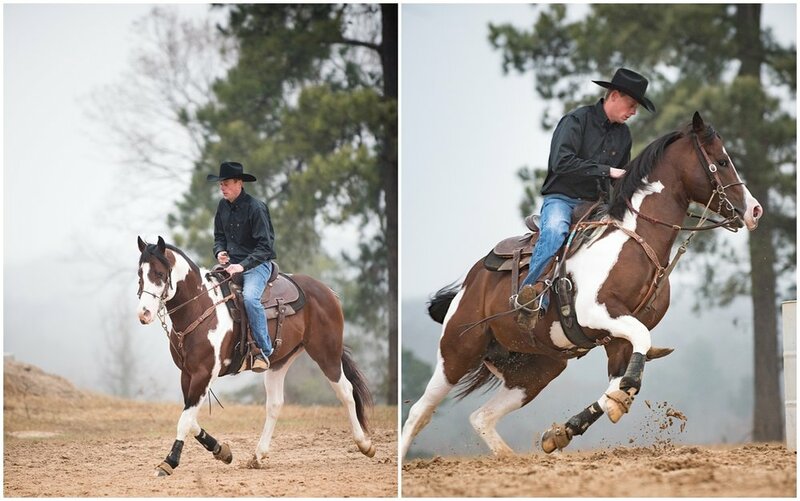 Jocks currently resides at LB Equine Fitness and in training with Chad Jones of Fuelin J Barrel Horses. Chad's wife, Katie, rounds out Jocko's hardworking team. 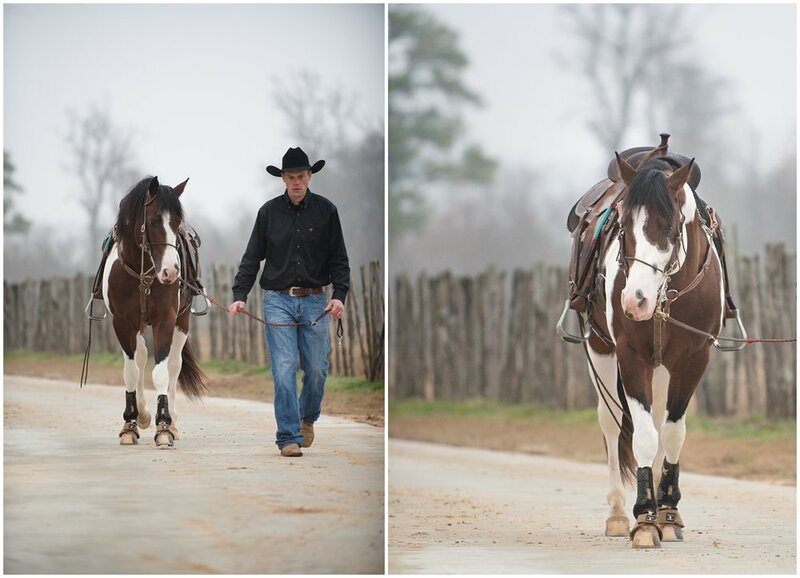 As businesslike under saddle as he was wild in the pasture, Jocko went to work with Chad to show off his gaits (check out that stride!) and work through some warm-up drills. Then, then fun part: charging full-blast around the barrels and thundering by, my camera mere feet away from flying hooves. What a rush! 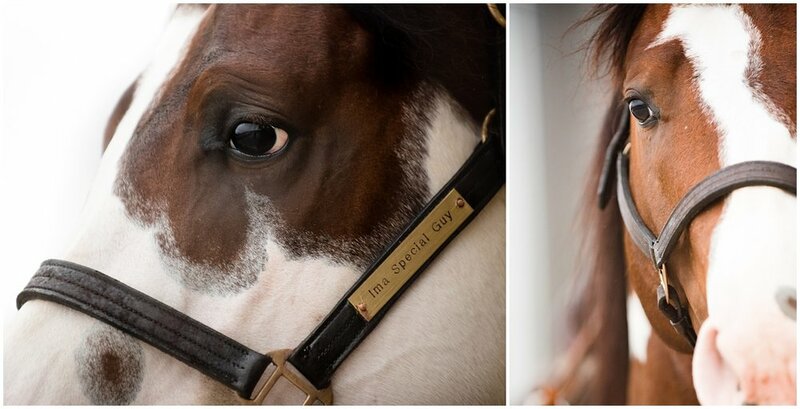 It truly takes a village to breed, raise, train and maintain a high-caliber stallion, but if these images are any indication, Jocko is flourishing in the care of an all-star team. Be on the lookout for this flashy stallion to take over the barrel world! Learn more & find breeding information here. Shannon, Katie and Chad—thanks so much for taking a chance on a chilly, foggy day...I had a blast and am still in love with these images! You all have clearly done such a great job caring for and fine-tuning Jocko, and I'm looking forward to watching him and his future foals make it big in the barrel scene! 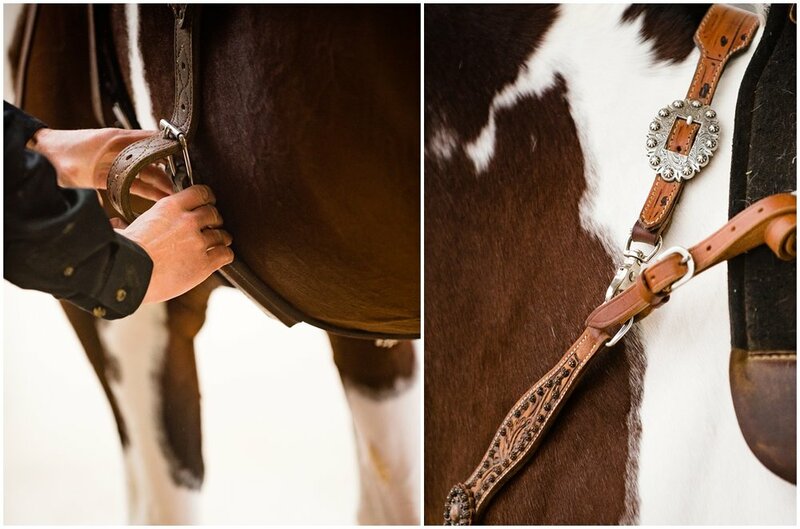 Ready to create dynamic, head-turning shots of your own stallion? Let's talk about your needs + vision to build your own custom shoot!